Anyone who has been to my house for a book club or any other get together has had these. We love to entertain, and the four following ingredients are some of my favorite recurring menu items. Clean the mushrooms, discarding the stems. Or you can save them for later. Mix the crab meat, asiago, and cilantro in a small bowl. 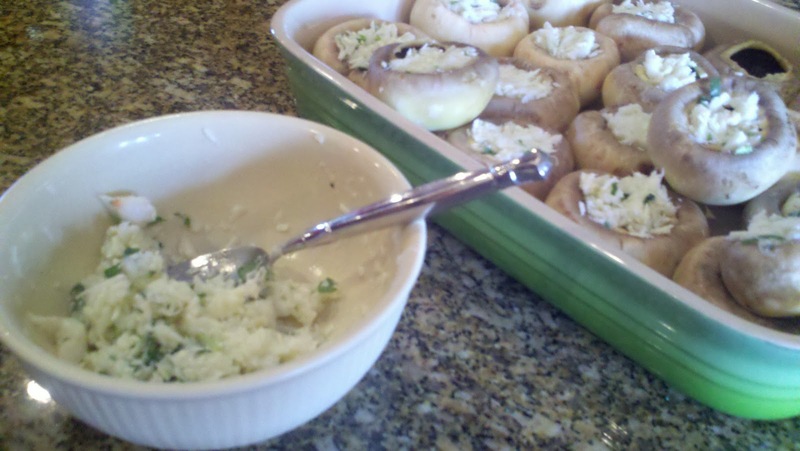 Fill a small ramekin with extra virgin olive oil. Dip the mushrooms in the olive oil. 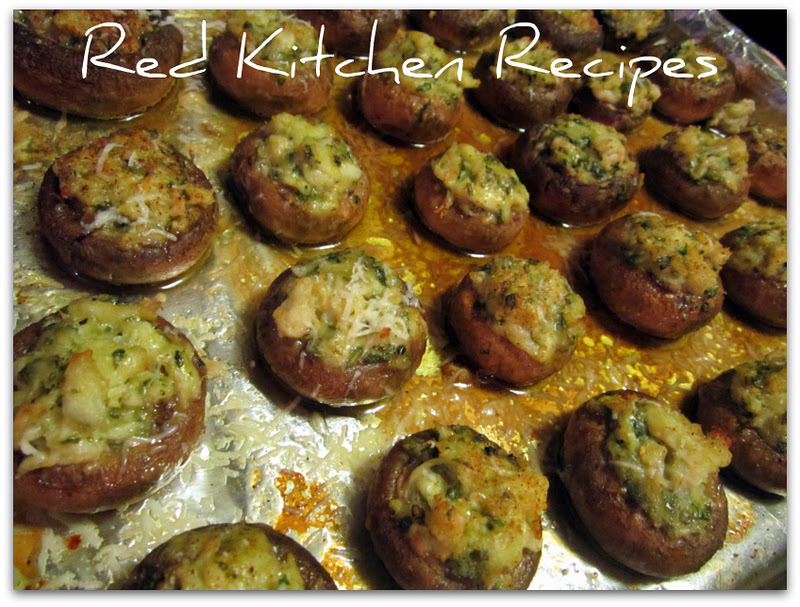 Fill mushrooms with mixture, sprinkling the tops with some Tony Chachere's lite Creole seasoning. Cook 20 minutes in the oven. 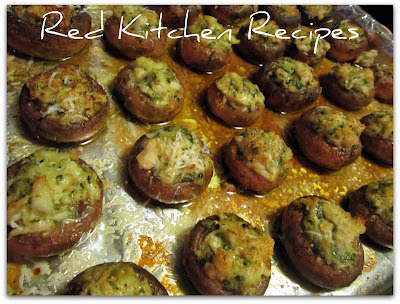 It's the asiago that makes these mushrooms so great, I think. These shrooms were awesome. I added some chopped and sauteed red and yellow peppers to add color along with a sauteed shallot. It seemed to work well. I really liked the cilantro! Gave the crab a fresh flavor. Yum, those additions sound great! I'll have to try it! Thanks for coming by!